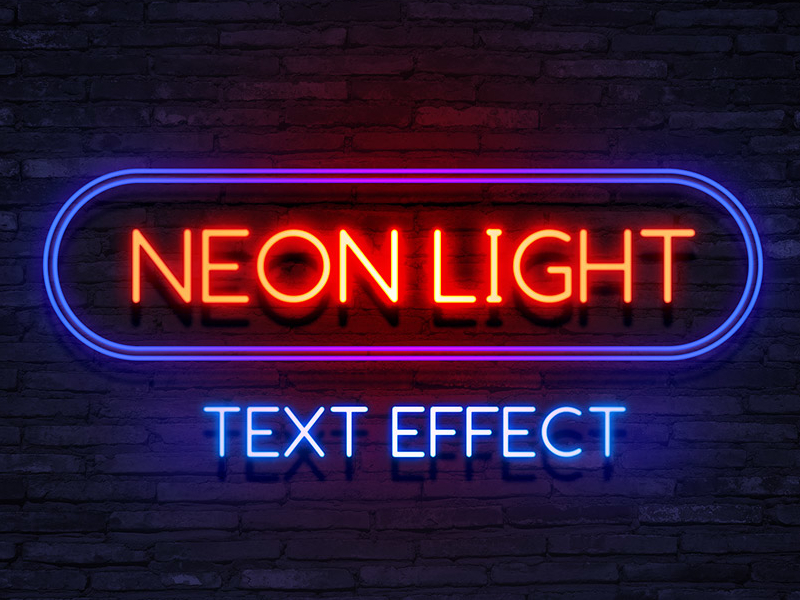 Turn any text into a cool Neon Photoshop Text Effect with this free and premium text effects! All you have to do is typing your text and select the font. Then smart object feature in Photoshop will automatically handle the rest! Hence, this effects will be perfect to create aesthetic banner for your blog, insta-post, packaging, and poster as well. Enjoy! 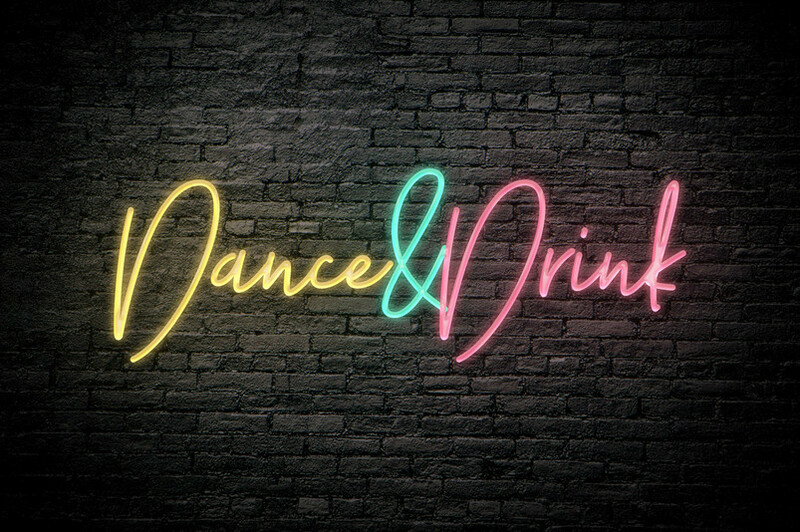 Feel the buzz of a big city around with its jammed streets and cozy back-street bars where fine jazz meets soul and modern people re-discover retro. 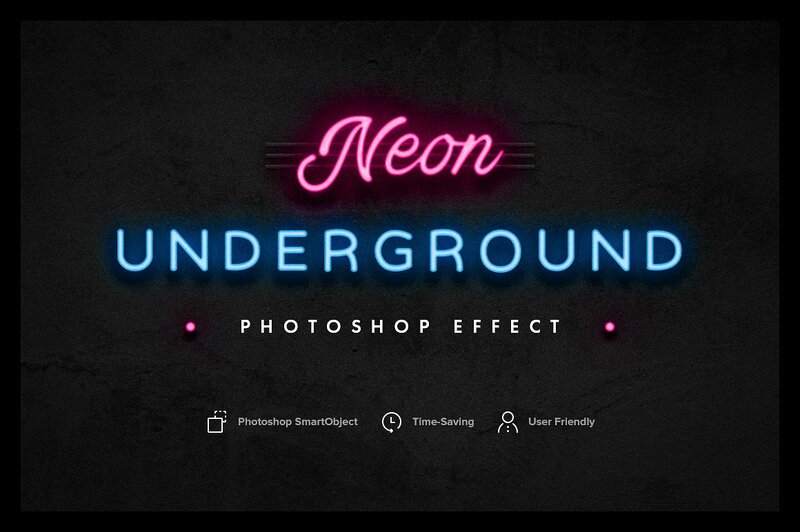 With that image on our mind we’re happy to introduce you our Neon Underground Photoshop Effect – an artistic booster that’s perfect for signs, logos & branding. 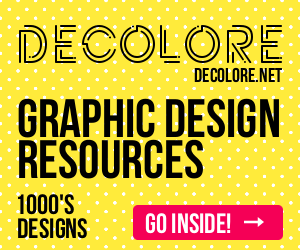 Or, finally, to bring energy to your typography — 6 included textures are here to help you. 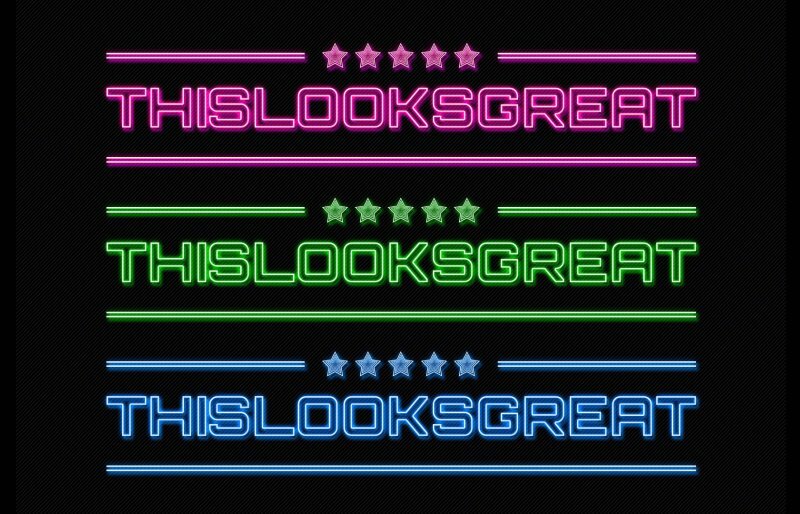 The kit is ready for a realistic design of posters, cards, images for social networks, sketches for a real neon sign. 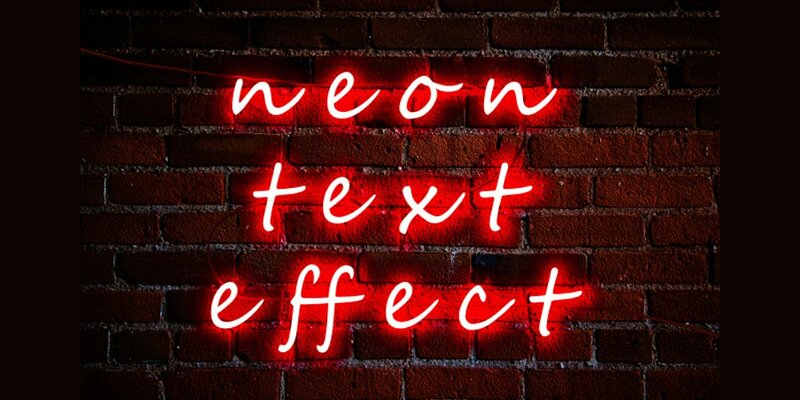 Turn any text into a cool neon style effect with this free text effect. All you have to do is typing your text and select the font, the rest been handled automatically with smart object feature in Photoshop. 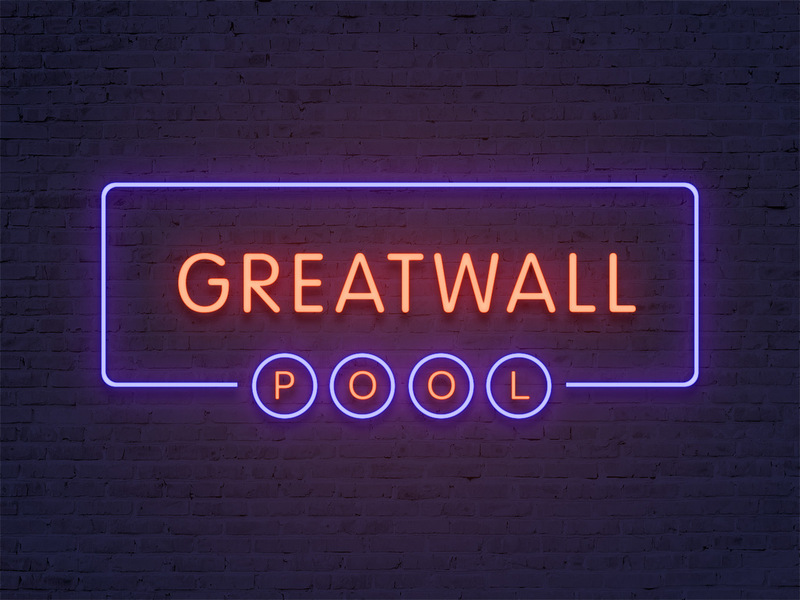 Here’s a super realistic neon glow text effect on a bricks wall background PSD file. 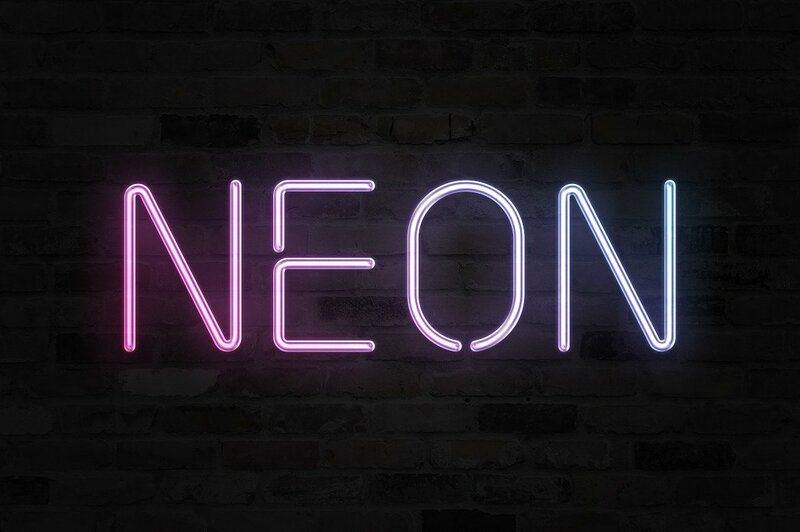 Use the smart-object layer to create your own neon text within seconds. I have added Hue and Saturation effect so you can change the color of the text and wall. 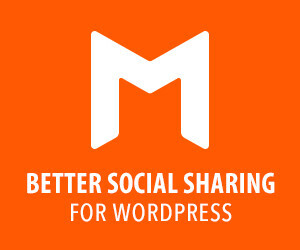 Ideal to add your creative text, symbols and icons. 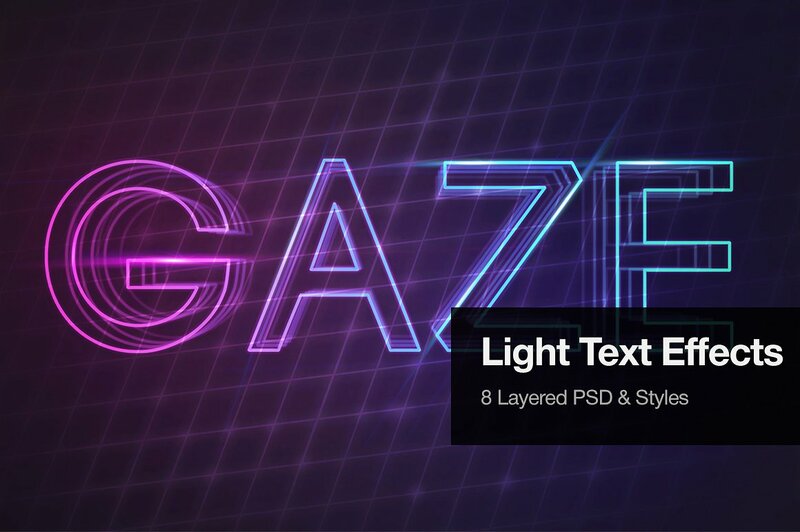 Photoshop neon text effect that you can use to transforms your text or shape in a beautiful neon glow PSD effect. It comes with smart-object layers that help you to add your own text and modify the effects at your will. 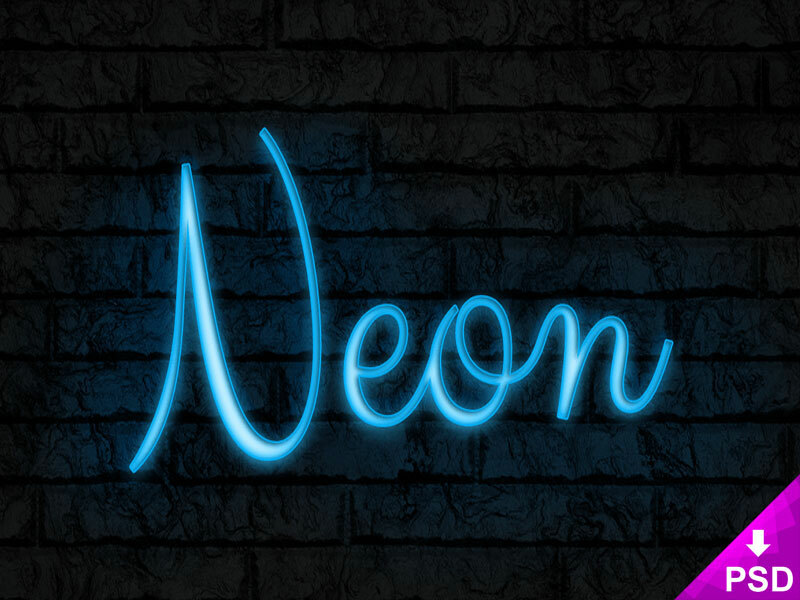 A realistic photoshop neon text effect that transforms any text and shape in a neon glow photoshop effect. It comes with off and on style and three colors, you can also create your own color scheme by modifying the effect layer. 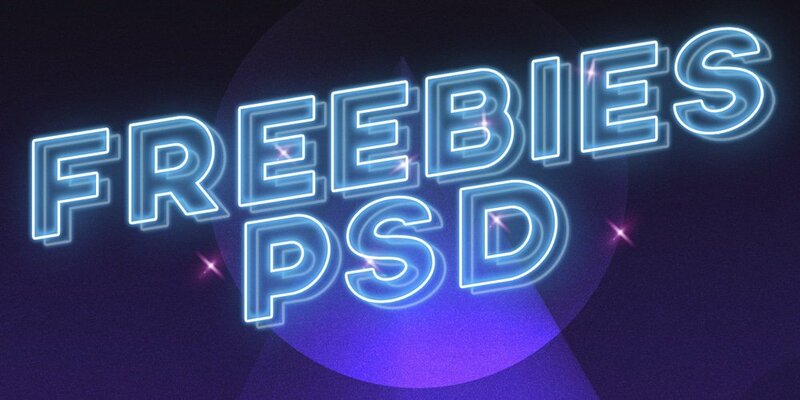 Fully editable PSD layered file, simply click on the Smart Object and replace with any text or object you wish, then hit save and the Neon Style will be added automatically for you! Text in the design of this template can be edited. Please enter the text you want. 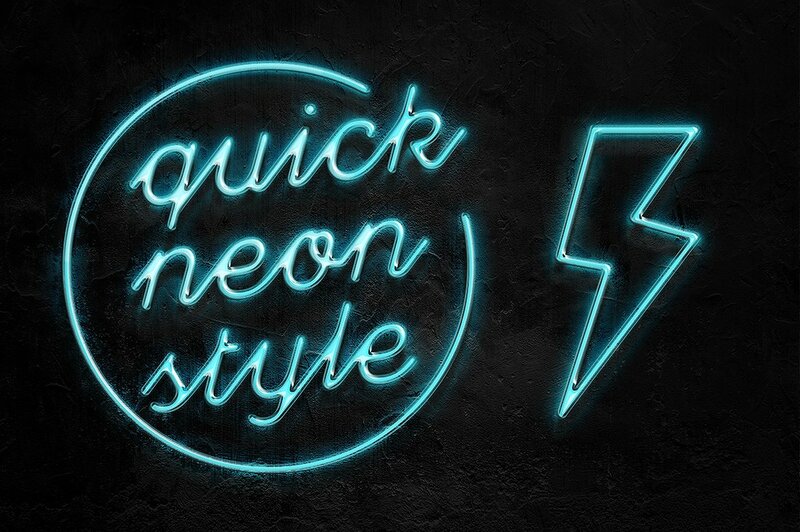 to enhance your text, you should have 2 fonts are specially made for the effect of neon. 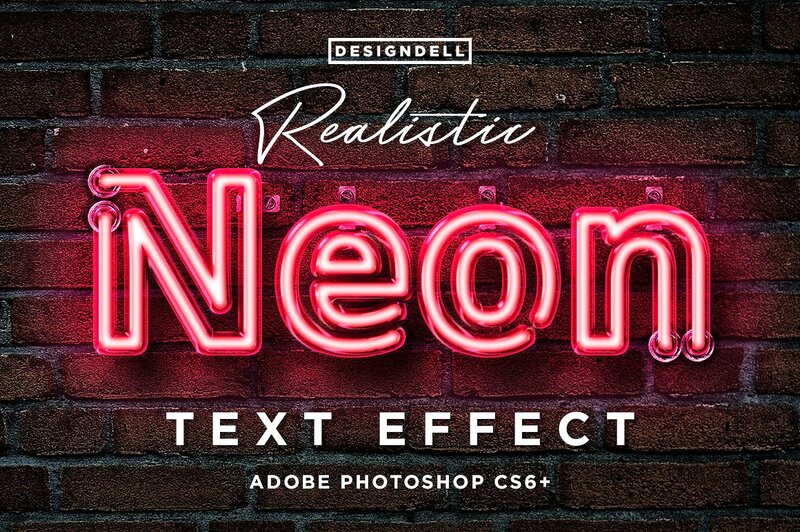 Make your own realistic neon Photoshop text effect using smart layers. 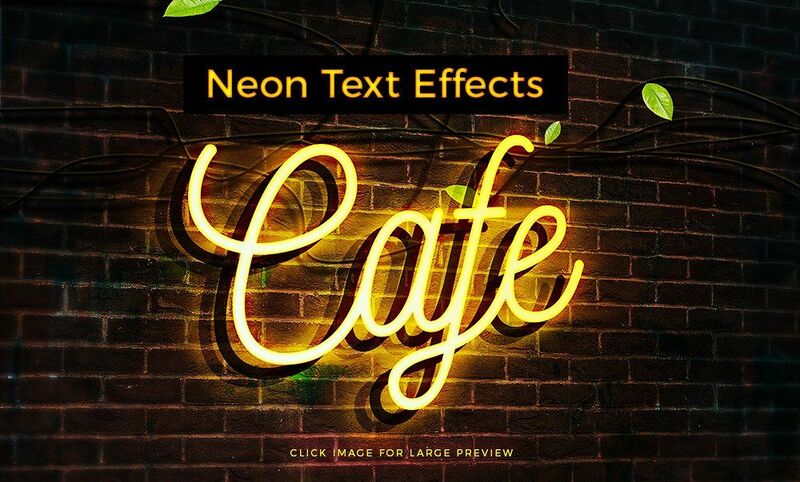 This Photoshop file contains individual letters and numbers with a highly detailed, realistic neon effect applied. 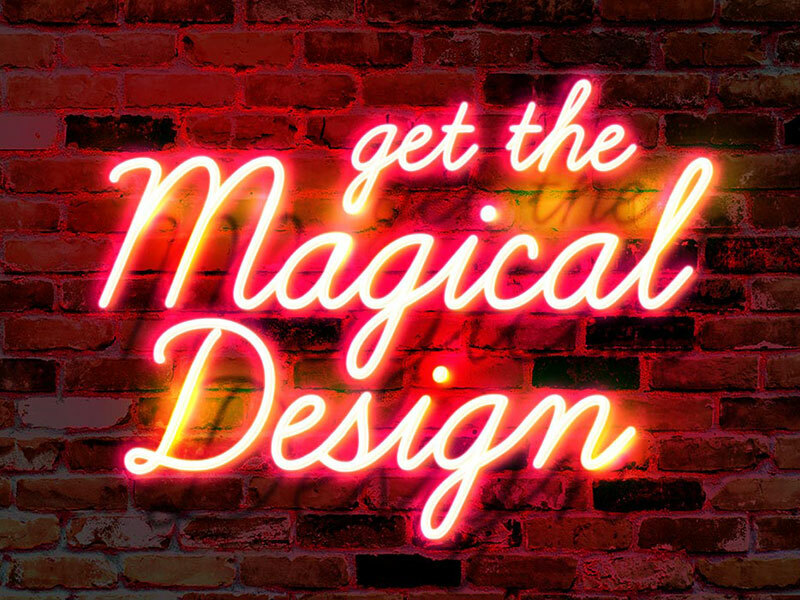 Use this kit to build your own glowing neon signs. Colors can be changed easily on a per letter or number basis, and you can even use gradients for a more dynamic light effect. 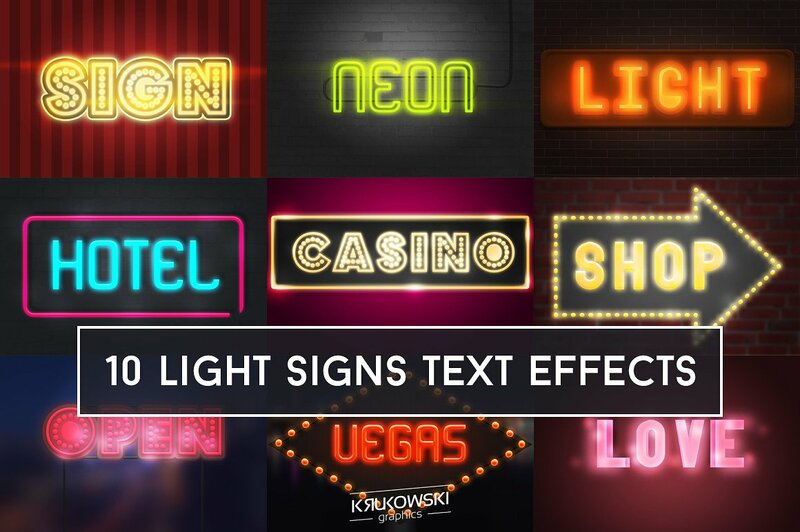 Light Signs Text Effects will add instant high quality Old Light Sign styles to your text or logo. 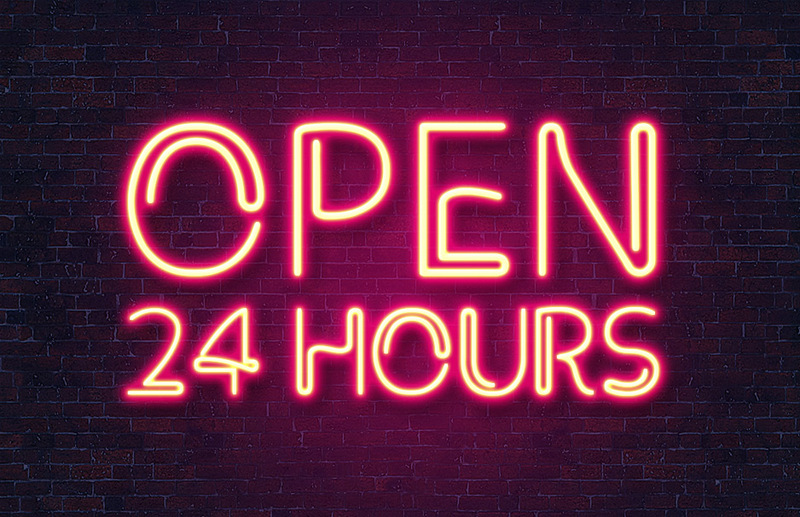 You just need to replace text inside smart object and it will look like light sign neon in seconds! 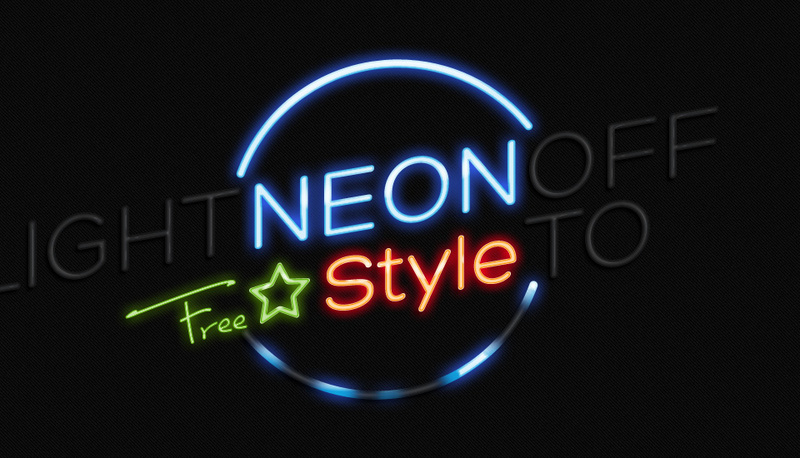 In seconds you can make your graphic in to realistic neon look. 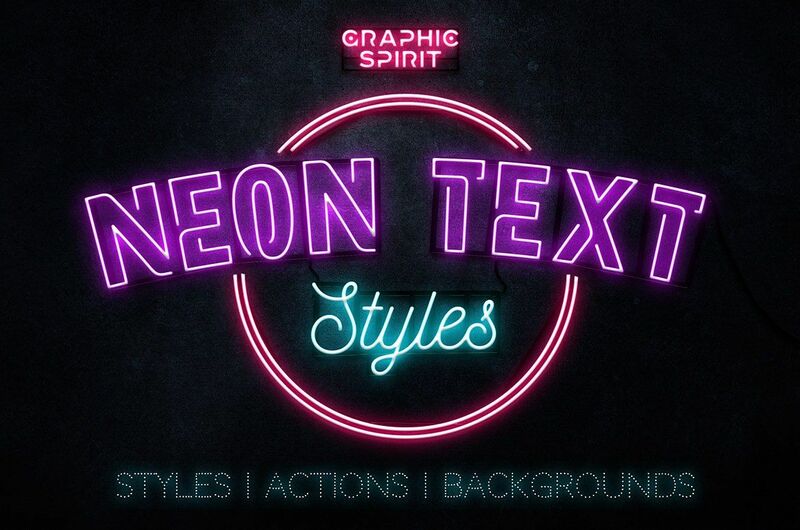 You can make neon texts or neon look symbols and logos. 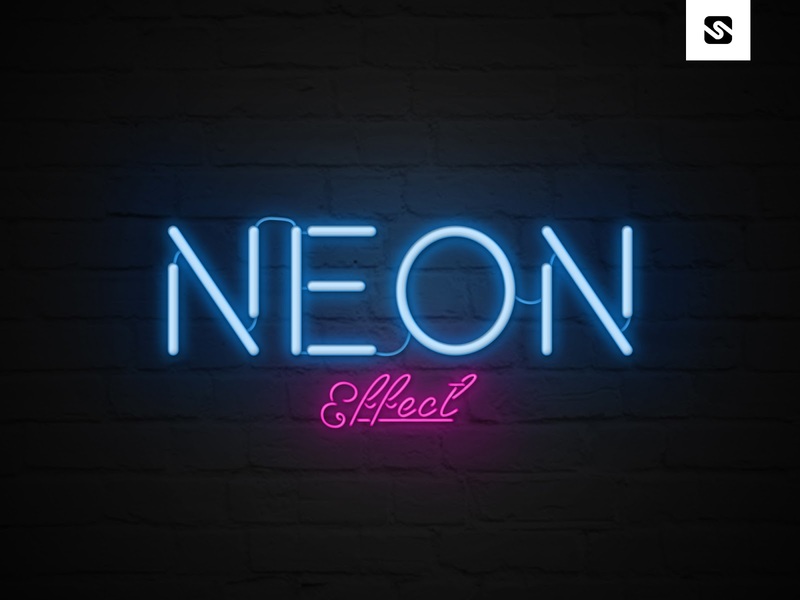 It is not just effected like glowing stroke it also has glassy tube effect around neon light.